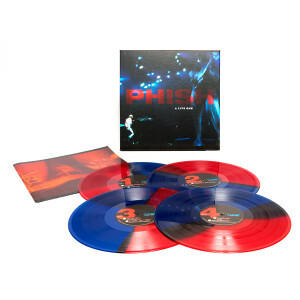 On October 27, Phish and JEMP Records will release A Live One, the band's inaugural live album, for the first time on vinyl in a limited edition 4-LP set. A Live One was recorded primarily by Paul Languedoc on multitrack DA-88 DTRS digital tapes throughout Phish’s 1994 summer, fall and holiday concert tours. The band produced the album, selecting the material and overseeing the mix to 1/2" reels in March-April 1995 with Ed Thacker and his team of engineers at Bearsville Studios. 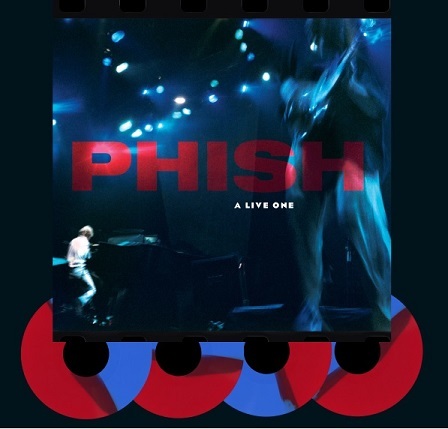 A Live One contains twelve original Phish compositions, five of which were previously unreleased: "Gumbo,” "Slave To The Traffic Light,” "Wilson,” "Simple,” and "Harry Hood.” The record was sequenced to approximate a two-set Phish performance and every track from the more-than-two-hour collection is notable - from the thirty-plus minute “Tweezer” to the “Wilson” opener from the band’s first Madison Square Garden show. “Gumbo” featured an updated version of Phish’s own Giant Country Horns. More than twenty years later, A Live One “Stash” and “Harry Hood” still rank among both songs’ top performances. After five studio albums, A Live One captured and conveyed the magic of the band’s improvisational live shows, and every song on the record (except “Montana”) has remained a staple of Phish shows ever since. A Live One was released by Elektra June 27, 1995 on CD and cassette. It was the first Phish album to be certified gold and remains Phish’s best selling album. The laquers for the vinyl edition were cut from the 1/2" flat masters by Chris Bellman at Bernie Grundman Mastering. Each LP is pressed onto 180g vinyl and includes a free MP3 download of the album transferred from vinyl.